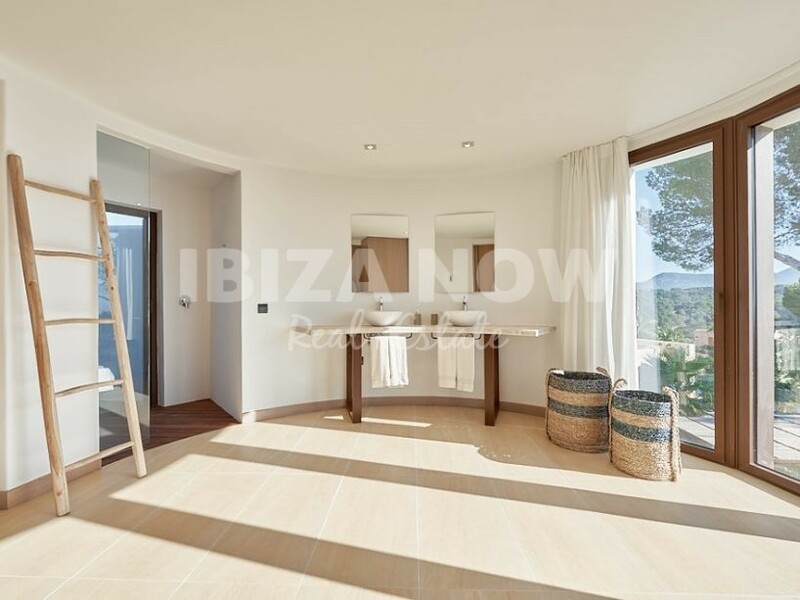 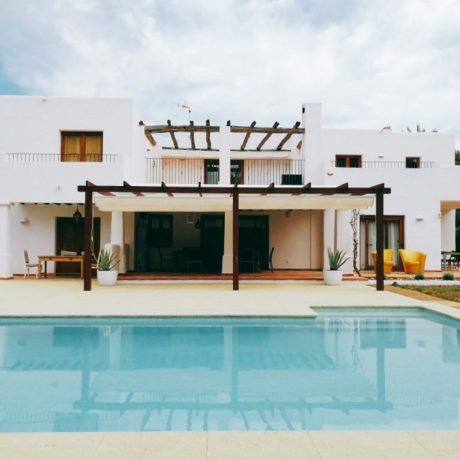 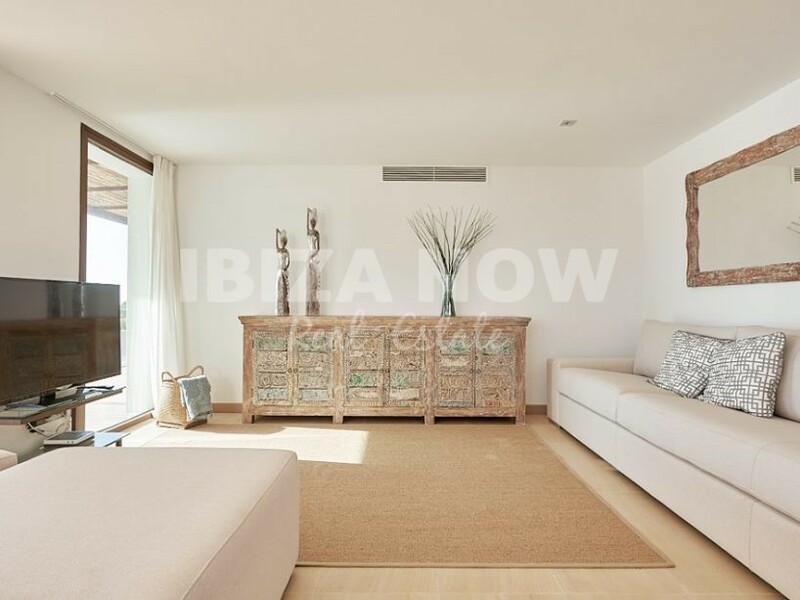 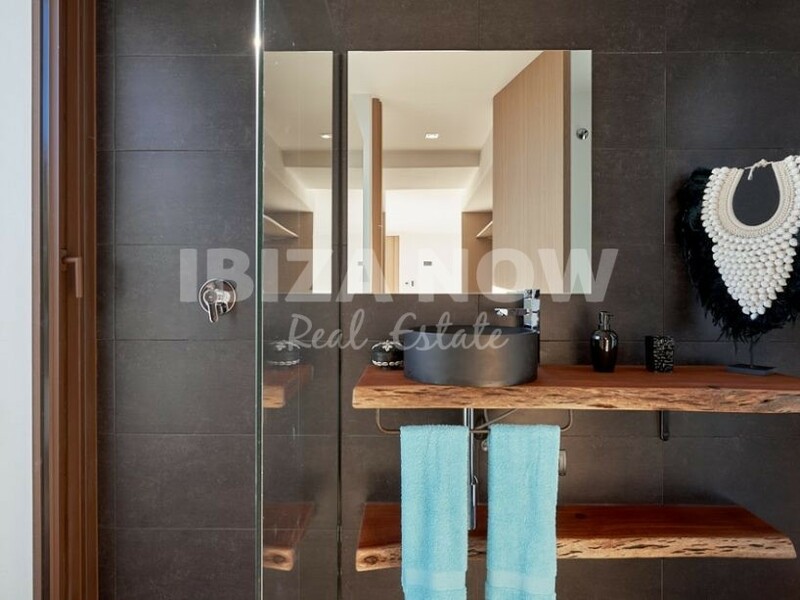 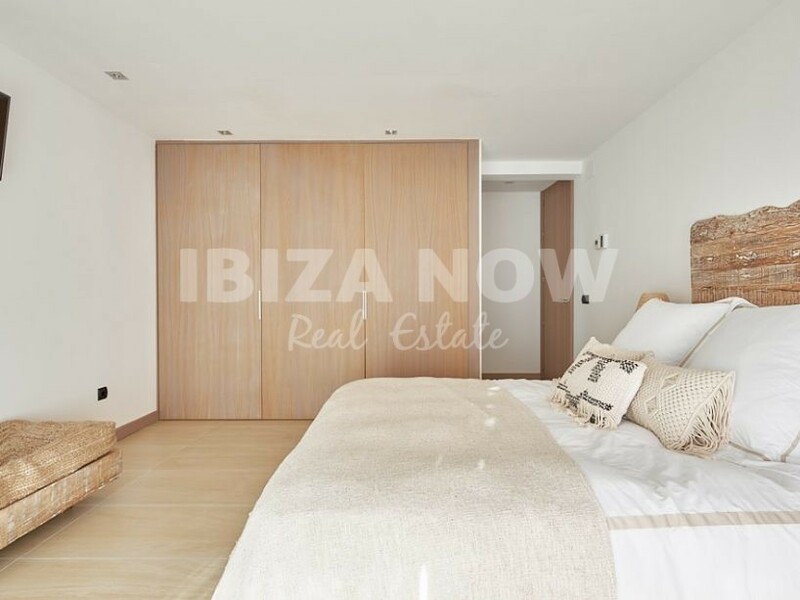 Beautiful new built 4 bedroom villa for sale in Cala Conta, Ibiza. 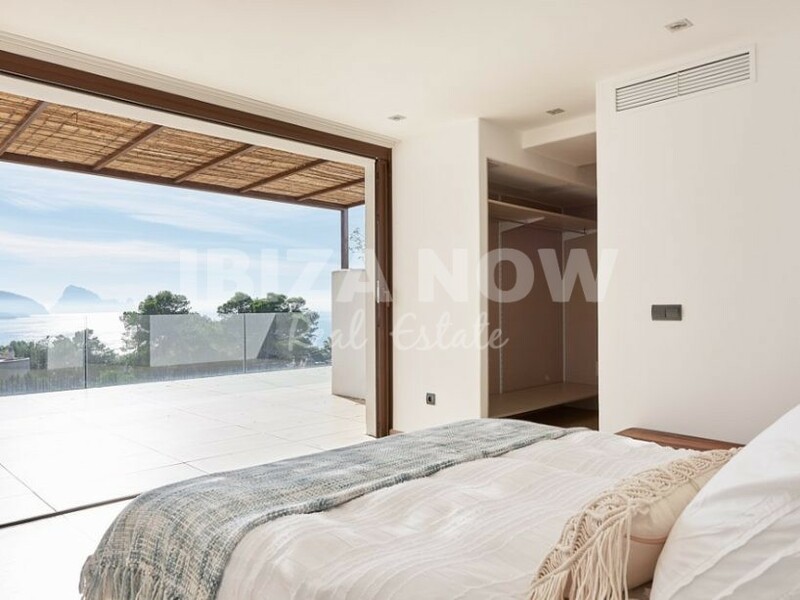 This newly built 4 bedroom villa is located in a quiet area close to the beaches of Cala Conta and Cala Codolar. 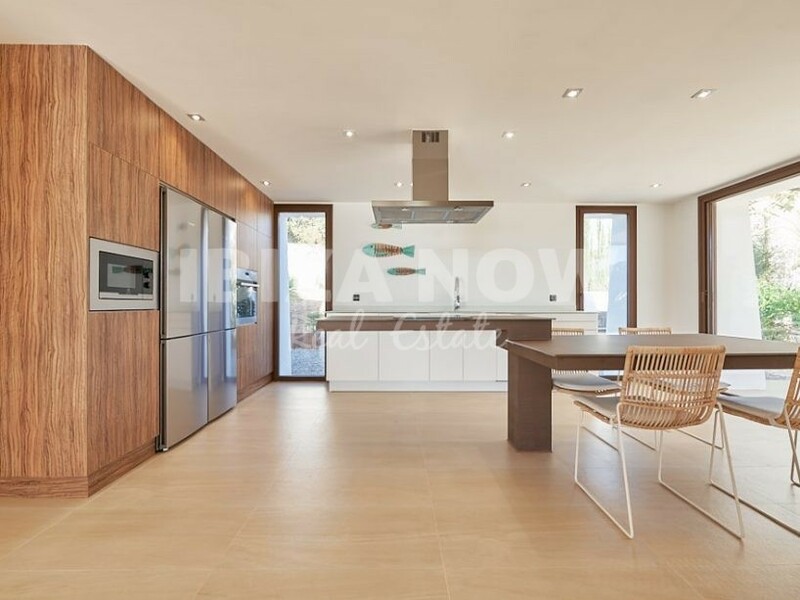 Built on a plot of 2000m2 and with a house of 460m2 this house offers good living spaces for the entire family. 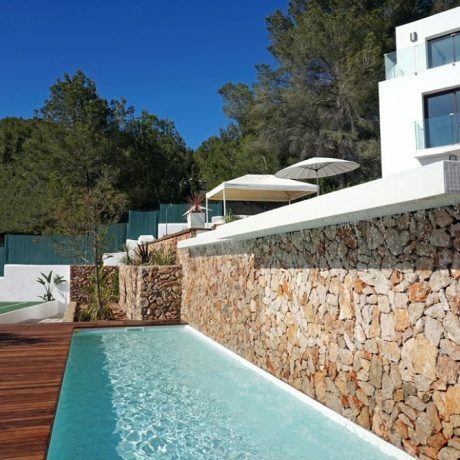 Built over 3 levels ( including basement). 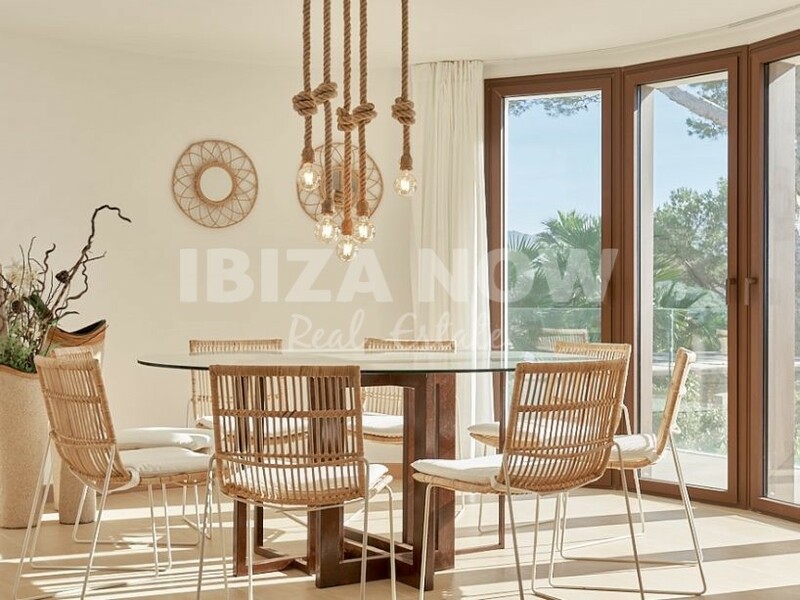 On the ground floor, we find the large open American style kitchen area, dining room, living area, 2 bedrooms with 2 bathrooms, guest toilet and terraces. 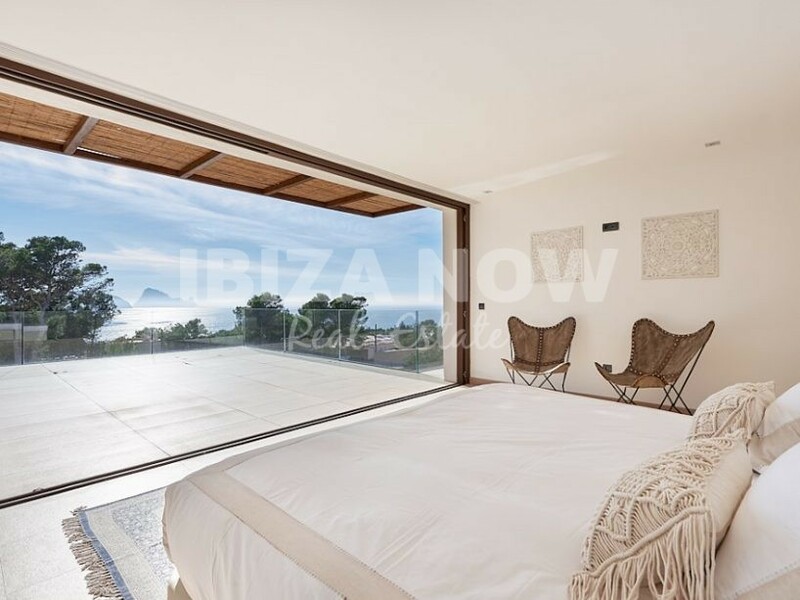 On the first level, we have 2 large bedrooms with both ensuite bathrooms and walk-in closets and large terraces with amazing views of Es Vedra. 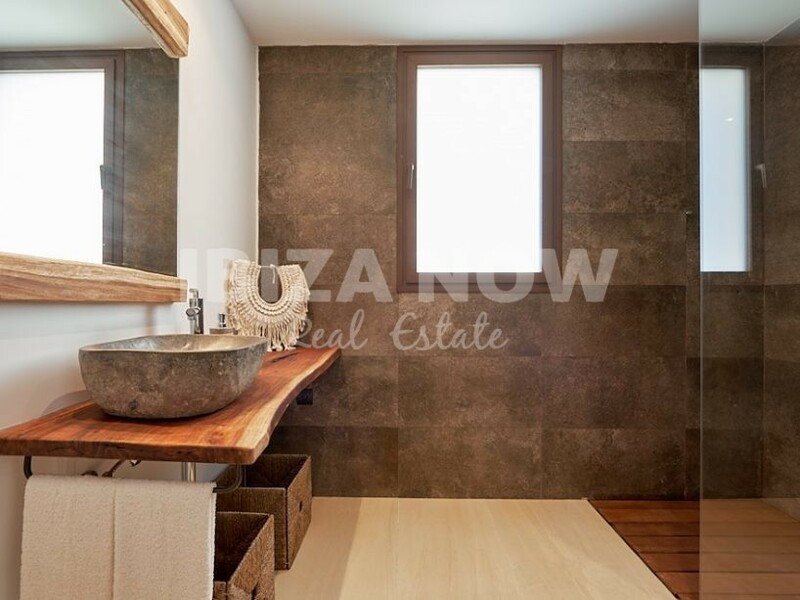 In the basement, there is a bodega, jacuzzi, Turkish bath, and sauna. 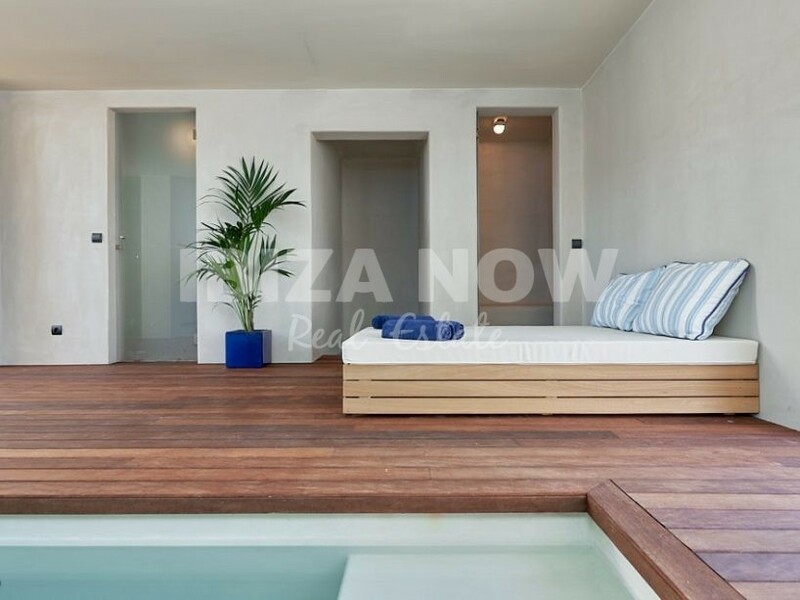 From the basement, there is a direct access to the lower garden where there is another natural swimming pool. 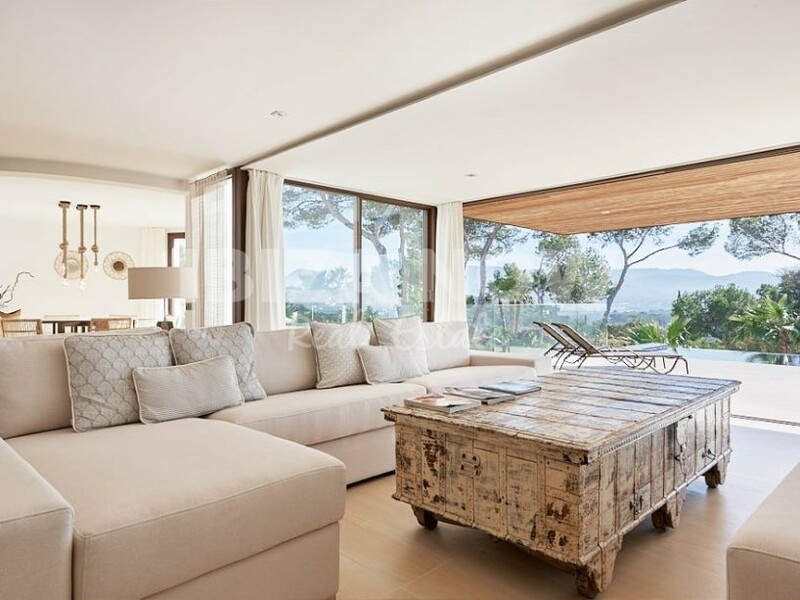 Furthermore, there are several covered and open terraces around the house. 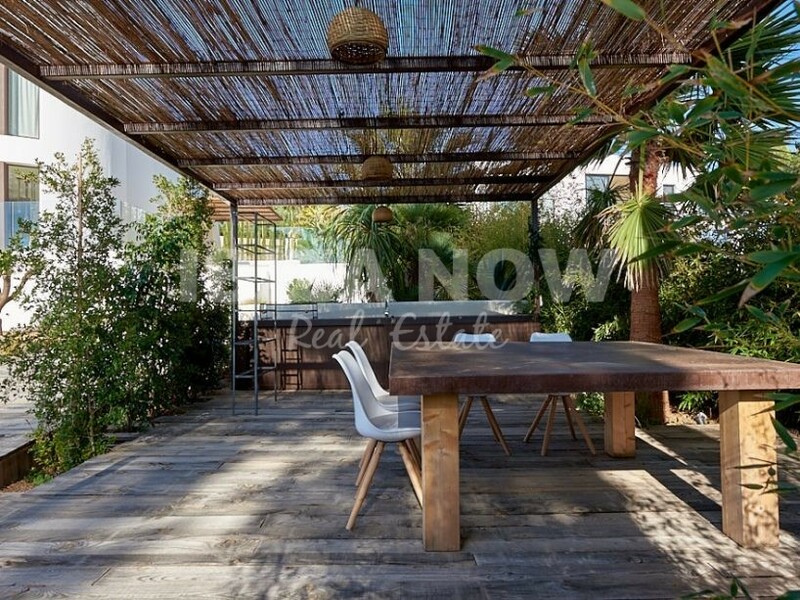 There is a garage as well as a parking space under a wooden pergola. 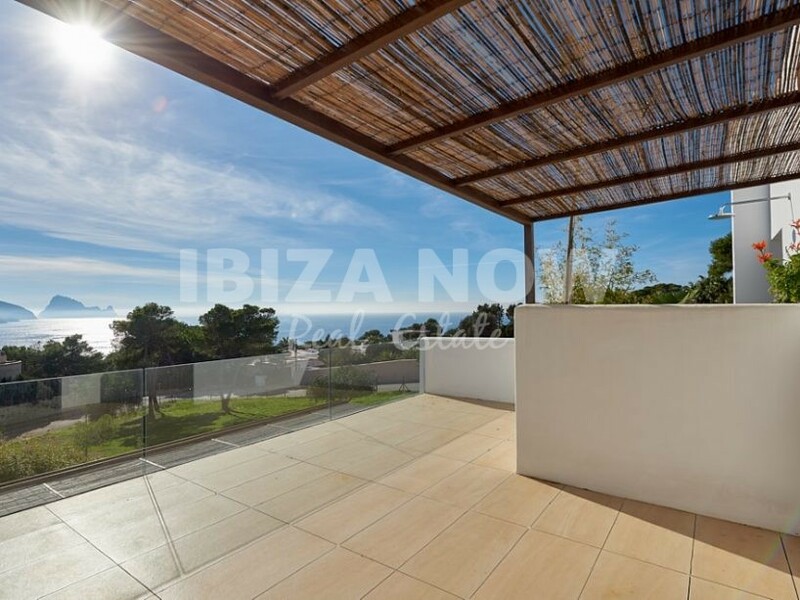 If you are looking for a good built modern house with amazing sea views, then this villa is a must see. 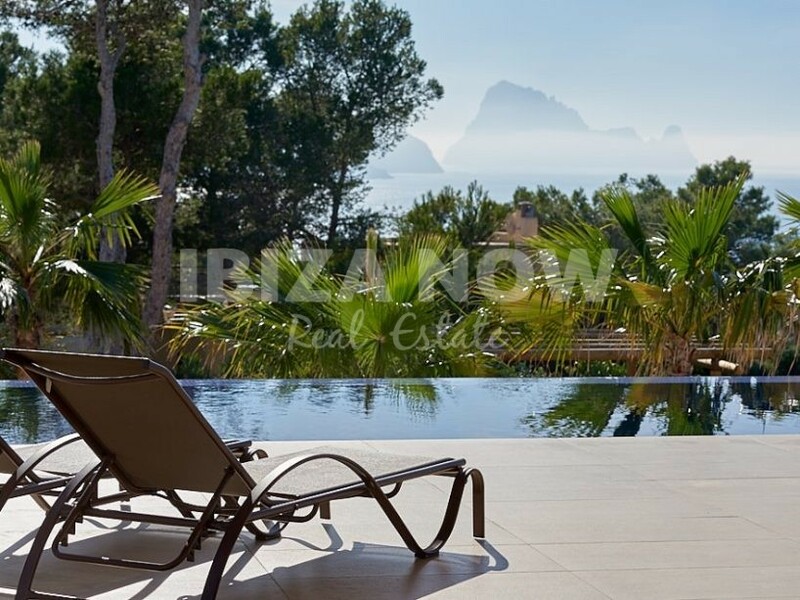 In winter you can enjoy some of Ibiza´s most spectacular sunsets. 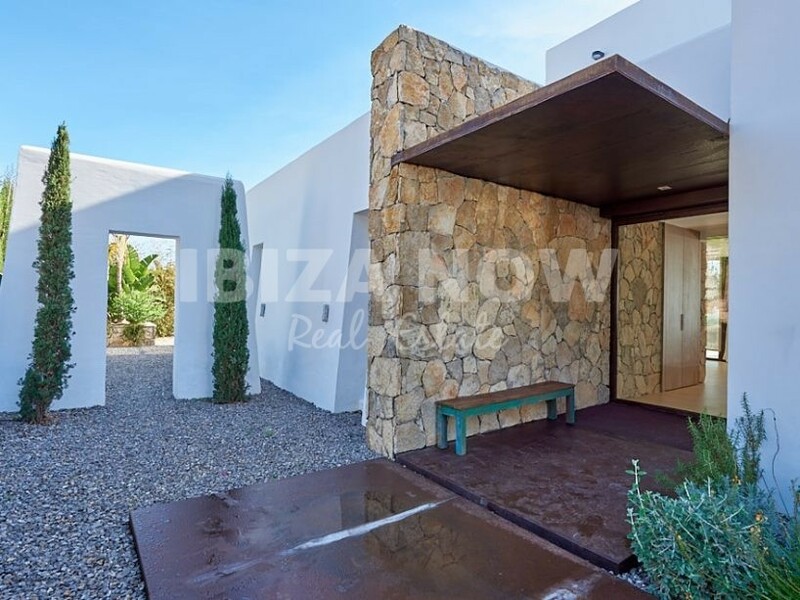 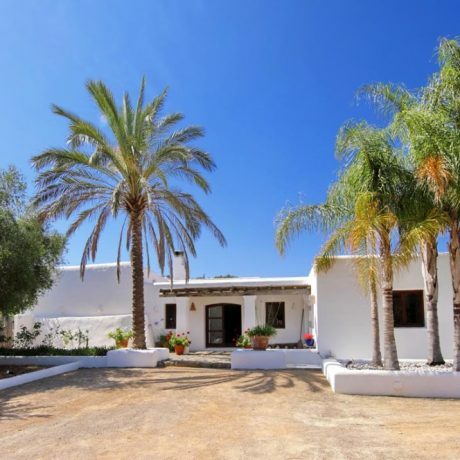 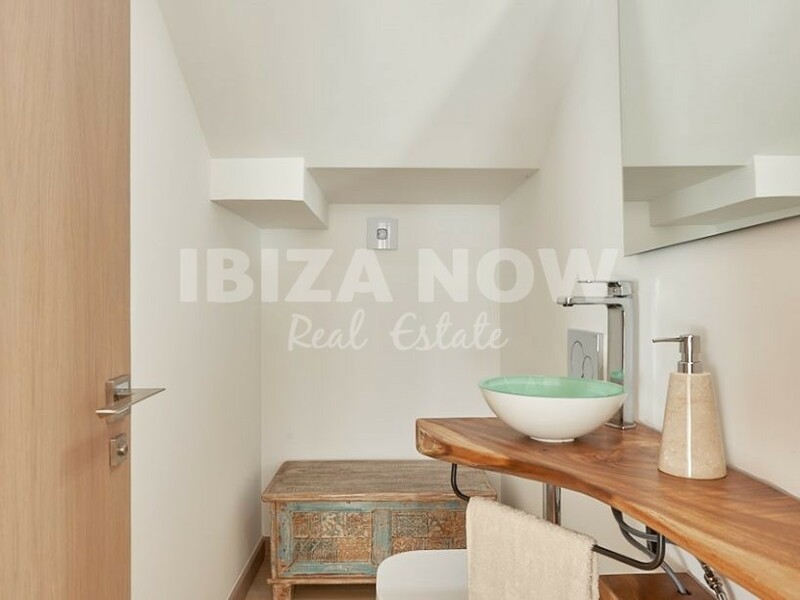 Another great listing by IBIZA NOW.